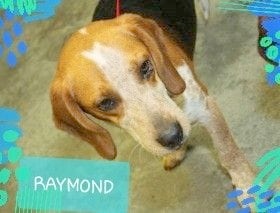 We hope Somebody Nice Does because RAYMOND Needs a Loving HOME. This handsome & young Beagle Boy came to Last Hope on LI from Bowling Green Shelter in Kentucky. He deserves to be a beloved Family Pet rather than another sad statistic as a discarded Hunting Dog.